Many have noticed it but it is not very well known; with a honey scent and very beautiful flowers. Occurs in all of Estonia. 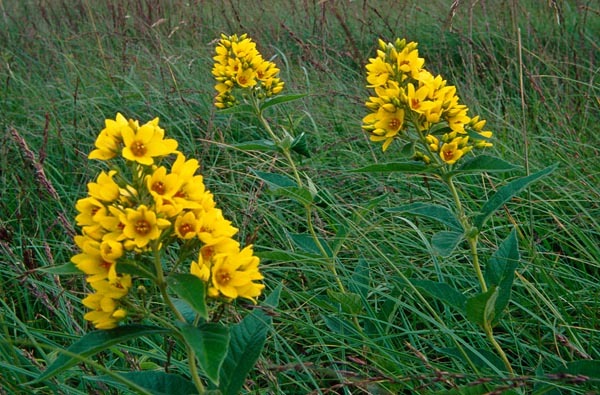 Habitats are damp meadows, shore areas, boggy forests and forest edges, field and road verges. The tall plant is eyecatching, growing in large stands. The stem is strong and erect, leaves in pairs and opposite or in three-leaf whorls. The golden yellow flowers are dioecious and so do not secrete nectar. But insects find pollen and pollinate them happily.